What does it really take to lead your organisation’s entire customer experience ambitions? Thanks to today’s fast-evolving digital landscape, traditional competitive advantage through product has been superseded by the experiences that surround what a brand produces or supplies. The changing value chain has made it more complicated to engage and retain customers. In turn, this has raised the need for businesses to appoint a senior executive who can not only champion, but orchestrate end-to-end customer experience. CMOs are increasingly being positioned as the appropriate custodians of customer experience and are stepping up to the plate to take ownership with more wide-reaching and optimised marketing activities, and a greater understanding of the customer’s entire journey. The question is, what does it really take to lead your organisation’s entire customer experience ambitions? How do you, as a marketing leader, extend your skillset, functional smarts and executive influence to succeed? What’s clear is becoming a chief customer officer means having the time, skills, budget and corporate clout to make decisions that have an impact right across the organisation. According to Constellation Research’s report, Should the Chief Marketing Officer Oversee the Whole Customer Experience? customer leaders must champion a very high level of customer centricity, set the direction for a holistic customer experience, and be accountable for all customer outcomes. That means having a seat at the boardroom table, as well as an ability to influence different departments across an organisation, from customer services to digital, supply chain, product development and technology. One challenge Oracle Marketing Cloud APAC group vice-president, customer success, Paul Cross, has identified through his experience working with transforming organisations is that there are never any absolutes when it comes to who has customer ownership. It’s the ability to get the business to buy in and take ownership of the entire customer journey that’s vital in delivering on the brand’s promise of super end-to-end customer experiences. “What we are seeing more and more is the CMO, along with the rest of the C-suite, beginning to come together in order to understand how the customer moves through various operational silos,” he says. It’s a big ask. Constellation Research’s report states CMOs must gain responsibility for many aspects of corporate innovation if they’re to ensure their organisation is providing the level of experience excellence customers are demanding. This means extending influence beyond communications and brand management and into more holistic product and business innovation. The problem is marketers have historically been isolated from other departments that affect customer experience, hindering their ability to lead change. In many ways, Cross sees the CMO already driving adoption of more innovative channels and opportunities, and doing interesting things that capture the imagination of the customer base. “This sort of responsibility is becoming more integral to the CMO role,” he says. Agility and a human-centred, design-thinking approach are key ways in which organisations innovate and come together around the customer. Marketers have been working hard to bring agility to their function, with high degrees of success. Organisational silos, however, can mean the rest of customer experience lags behind what they’re striving for. As Cross points out, it’s difficult to be agile and innovative when the CMO controls only part of the process. He uses the analogy of bike paths. Getting a company to organise around the customer removes these barriers. And that means aligning different perceptions on what it means to be CX-led if you’re the marketing department, versus technology or customer service, Cross says. It’s marketers who harness cross-functional collaboration, along with technology tools, that put themselves in the strongest position to overcome such challenges. “Marketers have a great opportunity to help push digitally driven, individualised customer experience by leveraging the right technology and CX platform that brings the whole organisation’s operations together,” Cross says. There’s no doubt the shift to digital marketing, electronic commerce, social media and mobile interactions has disrupted how brands engage with the next generation of customers. Customers are now in control, and they know it. Technology plays a massive role in how marketers deal with this changing consumer expectations at a rapid pace. Cross describes the dynamic as “digital fragmentation”. “It used to be good enough to have an up-to-date website, personalised email program and maybe social media monitoring. Now consumers expect seamless experience and identity across any platform and this is driving up complexity and cost for the CMO,” he says. The rise of chatbots and emergence of artificial intelligence-driven content paves the way for CMOs to scale personalised interaction without scaling cost, Cross believes. At the same time, you still need a comprehensive strategy and a team that knows how to maintain an authentic engagement with customers. To get there, Cross advises modern marketing strategies must take into account the value of data. Key questions to ask are: Are we using data to enhance the customer’s experience? And are we retaining data in a structured form for future use? This needs to be balanced against the increasing cost of content and programs, and whether teams are designing marketing strategies effectively (revenue) and efficiently (cost), while harnessing automation to drive down costs, he says. Of course, which such an abundance of data today, CMOs must have a data management and utilisation strategy if they’re to provide meaningful personalisation at scale. 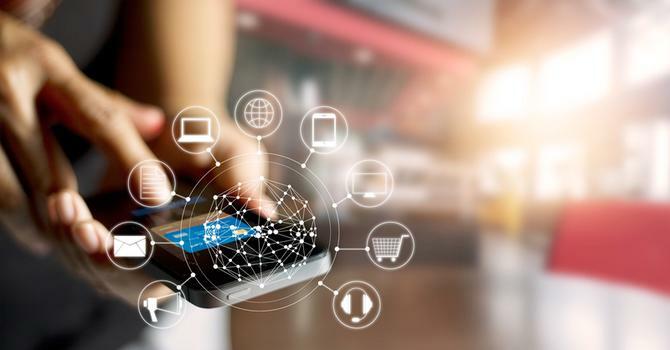 Constellation Research’s report points out many brands’ digital commerce, Web content management, social media, digital optimisation and analytics are rarely integrated fully with email marketing automation, segmentation and targeting. Capturing and uniting the right data across channels through integrated technology is therefore the first step. But it’s turning data into actionable insights informing business decisions that’s the clincher. The CMO best placed to analyse data and turn that into great and new customer experiences will ultimately give their brands an edge, Cross says. “CMOs now have access to an abundance of data, from behavioural data around transactions to website behaviour and social and third-party data,” Cross says. “That is probably the biggest opportunity for CMOs but also the biggest threat to them from their competitors. Digital innovation isn’t just impacting the way brands communicate with a customer. The rise of e-commerce is rapidly changing business models and new payment options, raising matrix commerce as another consideration in how CMOs tackle customer experience management. It also generates a ream of additional data signals from customers. According to Constellation Research’s report, disruptive pressures influencing the commerce paradigm require customer leaders to fuse demand signals and supply chains into their experiences and approach. “The internet has greatly sped our ability to access data, whether it be ad serving, an email platform, Web content or Google searches,” Cross comments. “Matrix commerce is beginning to aggregate more data sources, pulling it all back together into a more thinking active system that can generate a better outcome for e-commerce. That suggests the systems have to be brought together into a larger, more robust and flexible system. Want to find out more about how you increase company revenue and take a more strategic position on your organisation’s customer experience approach? Download Constellation Research’s paper, “Should the Chief Marketing Officer Oversee the Whole Customer Experience?” - Courtesy of Oracle.